Plain, bush type and ball cage type (aluminium and brass) pillar sets are manufactured. 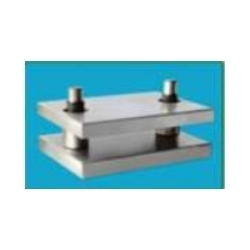 These pillar sets stands good rigidity, less wear, results to precise quality of components. cast iron and steel top and bottom pillar die sets with hardened and ground steel pillars and bushes. 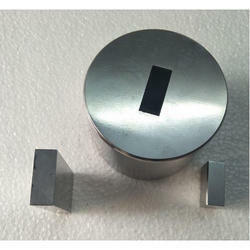 Our company is specialized in manufacturing, supplying and exporting an extensive array of Center Pillar Die Sets. These sets are manufactured by our expert team of professionals using latest machines and advanced technology. Our USP: Ready stocks available at under all types and sizes, Production capacity 12, 000 Per Month. - Also used by all automobile ancillary units having press shops for replacement of it after wear tear. We are manufacture of widely range of die sets like four pillar, two pillar & diagonal with ball cages & without ball cages in all mat. like M.S., EN-31 & EN-8. We have gained a reputed position in our domain by manufacturing and supplying a wide range of Industrial Pillar Die Sets in Faridabad, Haryana, India. With assistance of our diligent professionals, we manufactured the offered products with superior raw material sourced from the leading vendors. We provide them at very nominal rates. Pillar die set, (rear, diagonal) for blank and draw, piercing, curling, embossing, cutting, lug forming operation for lug/twist off caps . Manual feeding and roll feeding type are available. In order to meet the varied requirements of the customers, we offer a broad range of Pillar Set. These products are extremely recognized by our clientele for its low maintenance and strength. Being a reckoned name in this domain, we are indulged in offering an excellent quality range of Diagonal Pillar Die Set. Our offered range is mainly praised for its easy usage, high quality and reliable performance. Our client’s can avail this offered range in diverse specifications as per their needs and requirements. Patron Engineering have gained immense accolade in the domestic market for manufacturing and supplying an extensive range of Standard Die Set With Rear Pillar. Designed to save time and cost for the tool and die makers of all types of industries, these pillars are precision engineered according to the norms of the industry. Best pillar die sets for progressive dies.